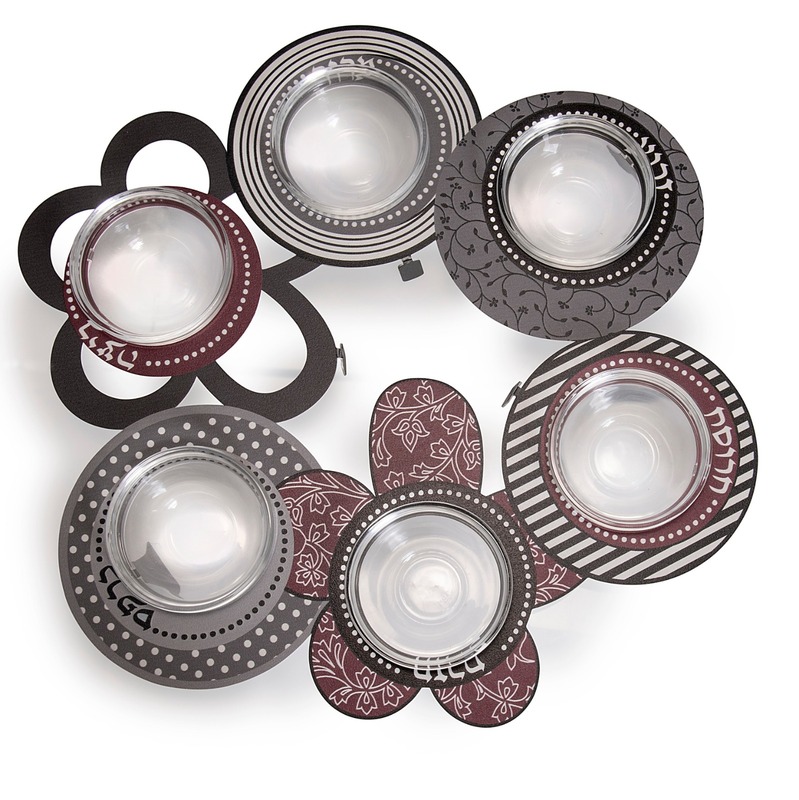 Your Seder table will look grand with this modern designed Seder Plate. This is a great gift for your host or an engaged couple. Dorit Judaica is well known for her gorgeous and modern Judaic designs by combining tradition with up to date ideas and features and this Seder Plate does not disappoint. 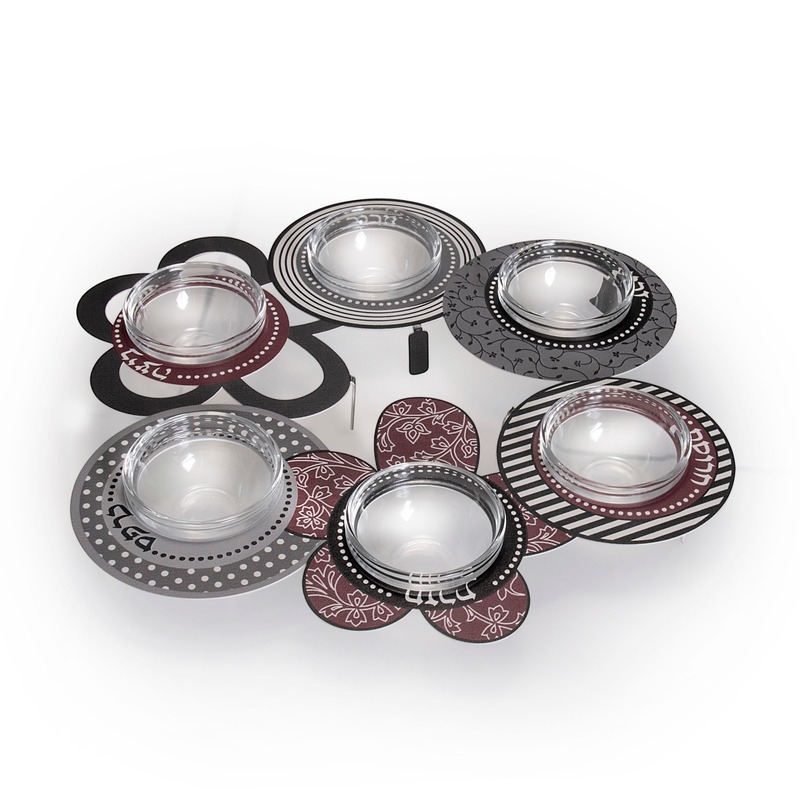 Designed in reds, greys and white, each bowl depicts a different chic design.